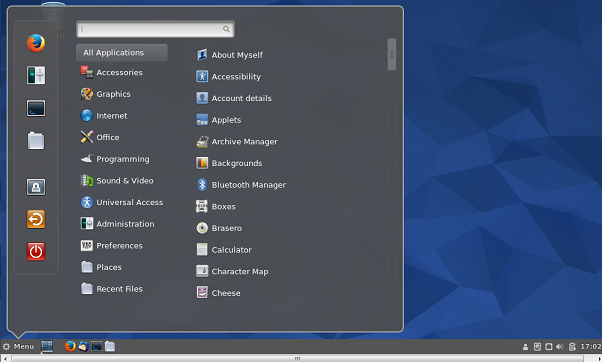 Cinnamon is a well known desktop environment for Linux distributions, primarily Linux Mint. It has been default desktop environment for Linux Mint and has gained lot of popularity due to noteworthy features like dual monitor support, fast speed and panel appearances. The most recent Cinnamon 2.6 is out now, and next Linux Mint release will have it by default, but good news for Cinnamon fans is that it is now available for Fedora 22 and Debian 8 directly . 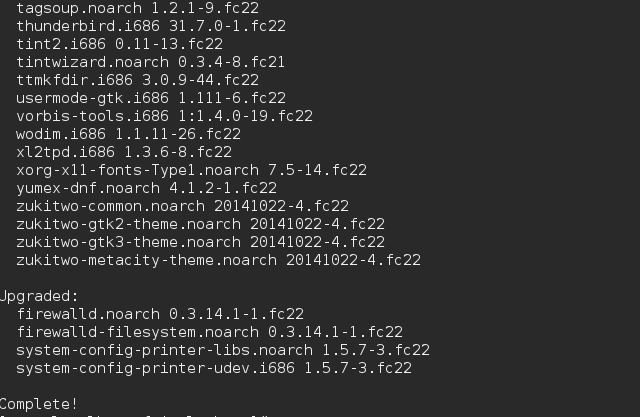 Yes, Fedora 22 and Debian 8 users can simply install the latest Cinnamon version via their package manager commands . 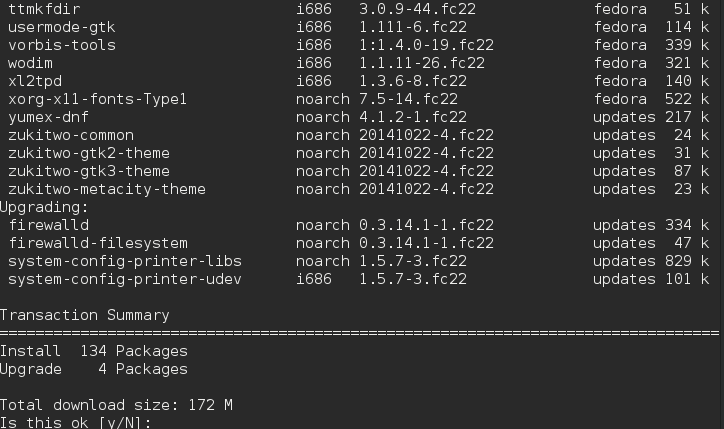 This article is all about noteworthy features of Cinnamon 2.6 and its installation on Fedora 22 workstation. Due to the traditional design and user interface, Cinnamon is the first pick for users migrating from other platforms specially Microsoft Windows. It’s pretty easy, since Cinnamon 2.6 is now part of default desktop environments for Fedora, it can be easily installed using dnf YUM. Simply launch your Fedora workstation terminal window and run following command to initiate the installation of Cinnamon. It will take some time to collect information for the packages needing to be installed, Confirm the installation process by type “Y” when prompted. That’s all, the Cinnamon new release install process should be underway now. Sit tight, it will take sweet amount of time to complete the install. As soon as installation is complete, reboot or logout your Fedora workstation and choose Cinnamon from Logon screen. 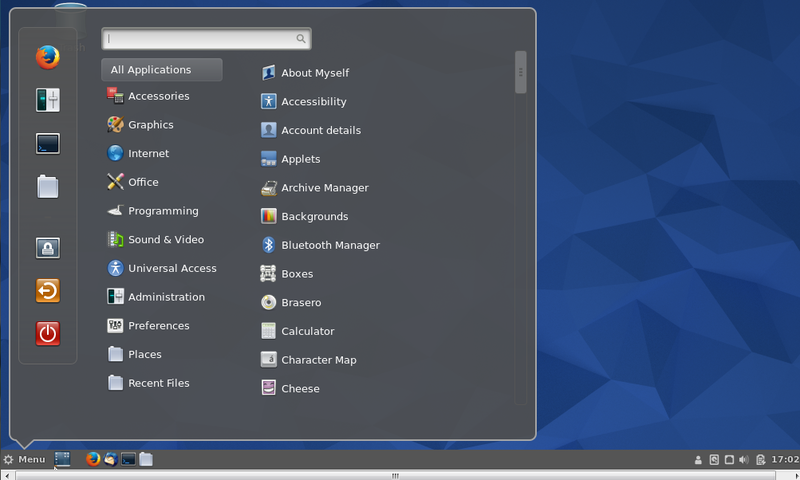 Cinnamon got a bright future, with more and more Linux distros adding it as their default desktop environment, it’s now not just limited to Linux Mint. The continuous development and bug fixes in this desktop environment has made it where it stands today. 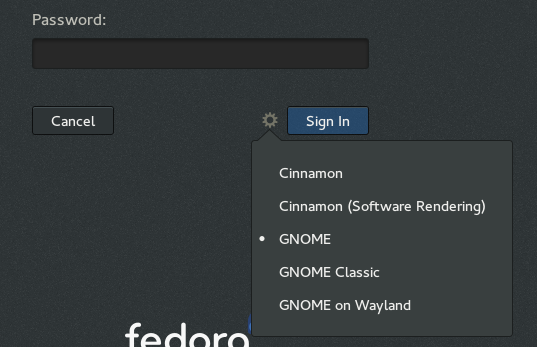 I installed Cinnamon on my Fedora 22 but it does not show up in the list when I log in. I tried reinstalling it but it says that it is already installed. Any ideas on how I can make it show up when I log in? can you show us the screenshot of your logon screen? F23 will have an official Cinnamon spin but there is an unofficial Cinnamon for F22 right now. It doesn’t work on Fed 23. I know there’s a Cinnamon spin for Fed 23, but I want, like on any other distro, to be able to Cinnamonify (?) my existing [Design Suite] spin, rather than having to build my own spin on top of a Cinnamon. I mean, the Design Suite comes ready-made, so why not just let us add Cinnamon to it? After adding Cinnamon, when l go to the login screen, there’s no Cinnamon (and btw, if you add “@” in front of “cinnamon-desktop” in terminal, you get nowhere), and it’s all horrible and rendery, and that doesn’t change when l get into Fedora’s desktop again, whereas there had been no lag previously before trying to add Cinnamon. – Restarting terminal and removing the “@” got me cinnamon, woohoo! – Logging out, l discovered no Cinnamon desktop option, but some serious rendering lag. – Logging back in to the usual Gnome desktop, the render issue persisted, and will not go away now. – I’ve heard the login screen is laggy no matter what you do, whether installing Cinnamon or picking your nose. – So … l tried to get Cinnamon, encountered errors, resolved them, got Cinnamon, realised l don’t have Cinnamon after all, and am now stuck in Renderville, South Lagadocia. – Don’t even have an alternative desktop background to introduce a 2-minute diversion before wiping Fedora off my drive. We are sorry to hear about this bad experience, we haven’t tested it on Fedora 23 yet. We will try giving it a try soon and update the article. Thanks for commenting!